Browsing through yesterday.sg on Memories of Cashin Mansion unearthed the discussion and campaign to save 23 Amber Road. After an active campaign and many months of waiting, the developer has finally published its proposals for 23 Amber Road, the Butterfly House. According to the proposal, only a small portion of the Butterfly House comprising the porch and stairhall structure will be saved. 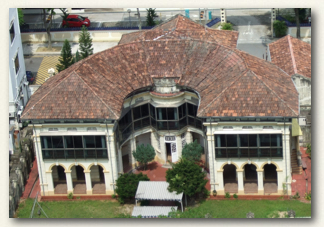 The proposal allows the developer to destroy the rest of the building, including the distinctive crescent portion which has given the house the nickname “the Butterfly House”. 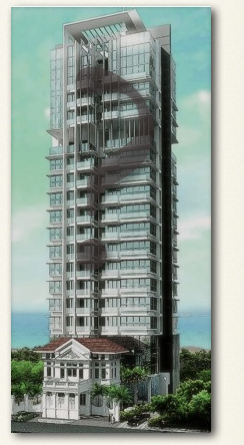 The developer proposes to dovetail an 18 storey modern condominium on the porch to make a hybrid building, which looks like a product of a genetic experiment gone wrong. This Frankenstein building would be an “eyesore on the seashore”. We encourage you to send your feedback to the proposal to try to save the building in its entirety. Save 23 Amber Road by Chong-Yee Khoo, a patent attorney, orchid judge and photographer. Not the first time a Cashin family home has been in the news, as a story carried by SPI confirms. In the early 1970s, the Government under the Land Acquisition Act as acquired the Maltida House aka Punggol Kampong House from Mr Cashin. Mr Howard Cashin, 82, eminent lawyer and a epitome on the Singapore rugby scene for decades, spent many happy holidays in and around it. It is called Matilda House, named for his paternal grandmother and built by his father, Mr Alexander Cashin, as a present for his wife. 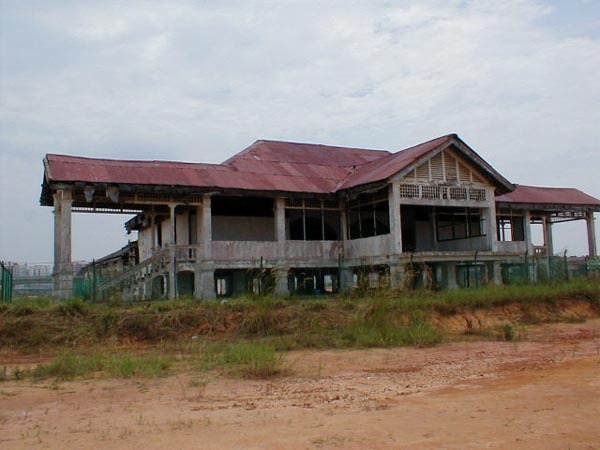 The Punggol seaside bungalow, built in 1921/22 as a weekend retreat for the Cashin family, will be restored and conserved as a landmark and put to community use in Punggol New Town. The house is within a short walking distance from Punggol 21 and, for those old enough to remember, off that narrow winding road that led to those great Punggol Point seafood eateries. It was in October 2002, Mr Cashin and The New Paper team visited the Matilda house again. Mr Cashin was quite shocked by seeing its present state, and he confessed to being ‘a little shaken’ at seeing it in its present state.